It’s that time of year again! You’ve put all of the Christmas decorations away, and suddenly it seems like a good time to get the house organized! Or is it just me that feels that way after the holidays? 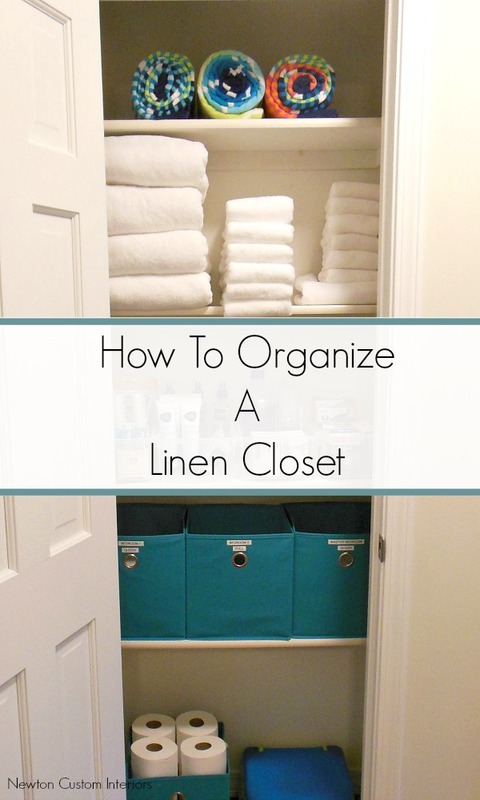 If you feel like doing some organizing, today I’m going to share how to organize a linen closet. First, let’s look at the ugly before picture. There were so many problems with this linen closet! It is in our hallway between the 3 bedrooms and 2 bathrooms, and it needs to function well for all of these rooms. When I needed to get a set of sheets for one of the beds, I never knew what size sheet I was looking at. I could never find a whole set of sheets. For example, a queen size top sheet might be mixed in with a full size fitted sheet. The towels shown in the closet were just a few of the towels we have. 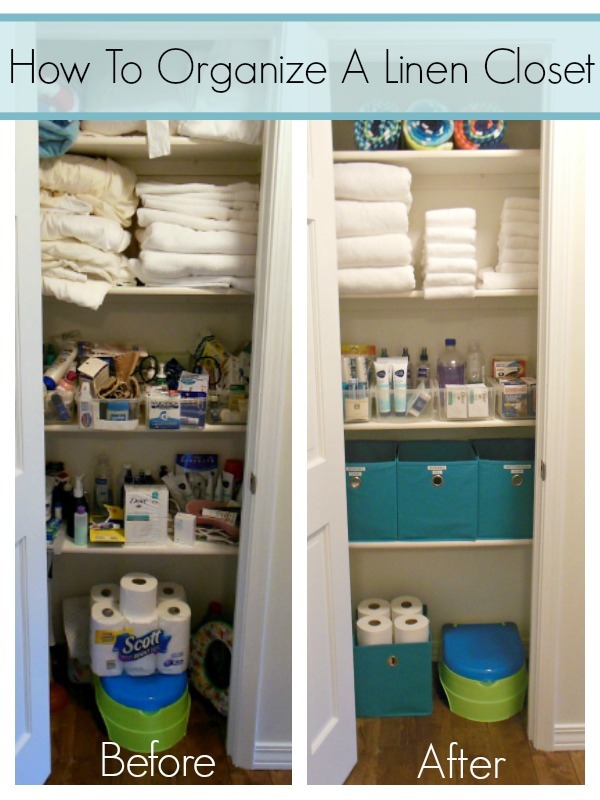 I needed a space to hold all of the extra bath towels, hand towels and wash cloths. The plastic bins were supposed to keep all kinds of things organized – like sunscreen, over-the-counter medications. But, they were so full, and such a mess, that it was hard to find anything. The shelf under the bins shelf was a mess too, and I could never find what I was looking for. Bottom line – we had too much stuff in this closet, and too many different types of things. I’ve created a video to show what I did to organize our linen closet. Go through each item you’ve taken out, and decide if it will go back in the closet, be thrown away, donated, or be put somewhere else in your house. For instance, we had some over-the-counter medications that were expired, so I threw them out. The rest of them were moved to a kitchen cabinet where I was already storing other OTC medications. 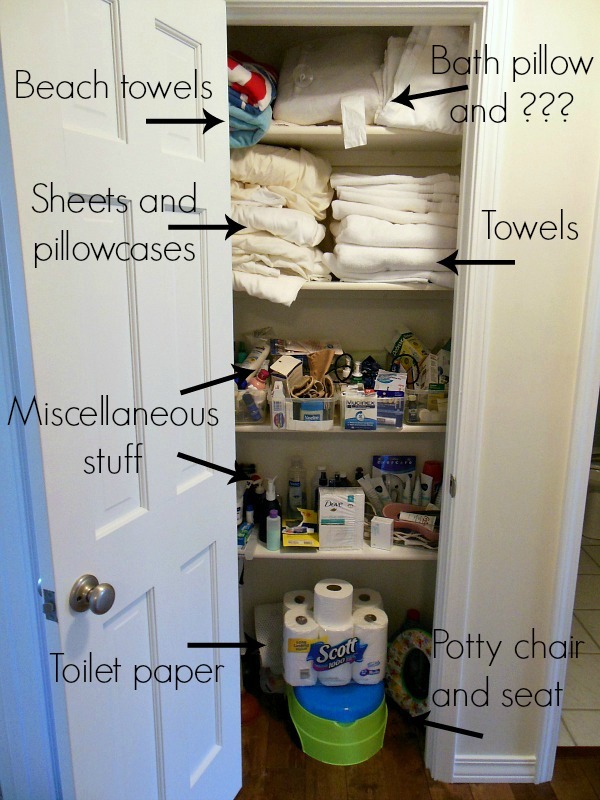 Use bins or baskets to organize items that you want to put back in the closet. I used some large cloth-covered bins to store the extra sheet sets for each bedroom. Each bin is marked with the bedroom and the bed size. I also re-used the small plastic bins to organize band aids, soaps, sunscreens, etc. I also have a bin for the toilet paper. Store all of the different types of towels and wash cloths together, but each in their own stack. I folded them neatly, and placed all of the bath towels together in one pile, and did the same for the hand towels and wash cloths. Also, our beach towels are stored together, so they will be easy to find when needed. I’m so happy with how our linen closet functions now! It’s easy to find everything, which was such a problem before. I just bought bins like yours yesterday to organize our hall closet! Thank you for this! Jes, you’re welcome! I’m so glad the post was helpful to you! You’ll love the bins! What did you do with your sheets? If you watch the video, I explain what I did with the sheets. Thanks!